To Revive or Not to Revive? Up until the 1800’s in North America is was common to have the sun blocked from the sky for hours as a flock of passenger pigeons flew over-head. A single flock could be up to one mile wide and 400 miles long and contain over 3.5 billion birds. On September 1, 1914, the very last passenger pigeon, named Martha, died in the Cincinnati Zoo. The passenger pigeon was hunted for its meat, and could be caught by the tens of thousands with casting nets. It was used by the settling Europeans as cheap food for slaves. In less than a century, humans wiped out one of the largest bird colonies in the world, and now, we finally have a chance bring back the passenger pigeon. Through cloning non-extinct animals, scientists have discovered that if the genome of a species, living or dead, can be mapped, then it’s DNA can be placed into a stem cell, and an animal can be grown. We will not be seeing Jurassic Park anytime soon, as there is no DNA left from dinosaurs to reconstruct the genome, but we now have the capability to bring back species such as saber-toothed cats, woolly mammoths and even the late tasmanian tiger. The question now is, should we? Steward Brand, writer and co-founder of The Long Now Foundation, is an adamant supporter of, what has been coined, de-extinction. When contacted for an interview, Brand encouraged those hoping to learn more about de-extinction to visit his website, www.longnow.org. There can be found a list of ‘candidate species,’ such as the famed passenger pigeon, the dodo bird, the Chinese river dolphin and even some more fantastical species like the woolly mammoth, the mastodon, the giant moa and the Tasmanian tiger. The giant moa was a bird that lived in New Zealand before the 1500s and stood almost 8-feet tall. It went extinct due to the Polynesian settler’s who hunter the moa for food. The moa was an impressive bird, whose size can be attributed to the fact that there were no mammalian predators in New Zealand and the moa was able to evolve unimpeded by predation for over 40,000 years. Choosing which animals to ‘revive’ is much more complicated than choosing a nine foot tall bird because it would look cool. Proper revival candidates must be sorely missed in its ecosystem. This is one of the reasons animals like the woolly mammoth and the mastodon are looked at as candidates for revival. These large elephantine creatures were responsible for the creation of lush grasslands in their respective home-lands. 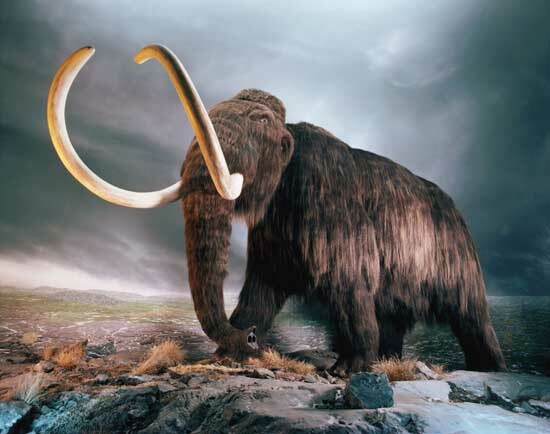 The mastodon were native to North America and the woolly mammoths hail from Eurasia. Dr. Wetherington addresses a second point on Brand’s list of criteria, will the species help to answer scientific questions. Being able to actively study these animals that we have been only guessing about for centuries could lead to links between similar animals that are found continents apart. However, many conservationists fear that the excitement bringing back extinct species would create could be a distraction from those species that need our attention now. If we can’t keep our current species of elephant from going extinct, why should we bring back a different species, some scientists argue. The ivory trade has already taken 62 percent of the remaining African elephants between the years 2002 and 2011, and we can only imagine what lengths poachers would go to for mammoth ivory. With between 0.01 percent and 0.1 percent of all the species on Earth going extinct each year, which means that if there are 100,000,000 species that 10,000 species go extinct each year, are we obligated to bring these animals back from the grave? Or is it our duty as citizens of this planet to take care of the animals that are left?